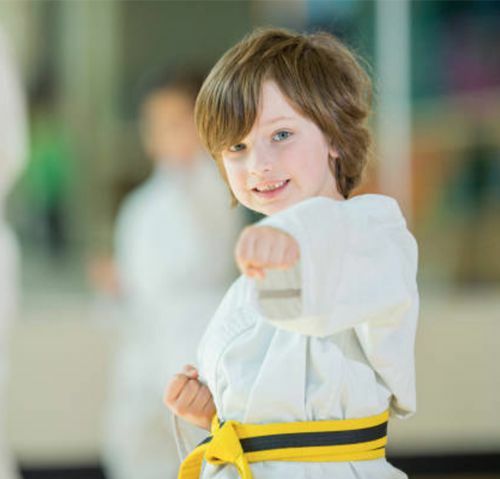 Karate is a great way for your kids to become disciplined, get fit with kickboxing, and stand up to bullying with Krav Maga, all while having fun! 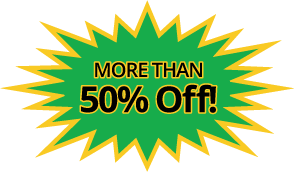 Take advantage of our exclusive online offer now to save big as you empower your kids forever! All parents want their children to become leaders. 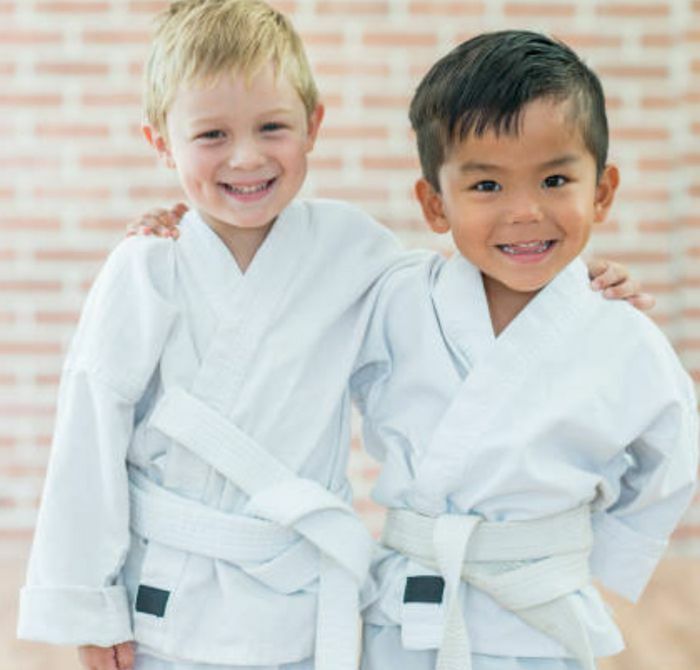 At Premier Martial Arts, we believe that all children are special, capable of greatness and we seek to provide our students with the skills they need to be exceptional. As a parent, it can be difficult to discipline your child, to teach them the value of hard work and respect for authority, especially if your child is struggling in school. This is why so many parents enroll their children with Premier Martial Arts, as we will not only transform their work-ethic, instill discipline and respect, but we also work to boost their self-confidence and help them become physically active and mentally fit. Is your child struggling with school? Do they fail to complete their homework and study for tests? Do they help you around the house? Do they show signs of ADHD? Do you worry that your child follows more than leads? Do they lack positive role models that encourage leadership skills and reward good behavior? Does your child shy away from experiences and making friends? Do you worry that their personality will keep them from realizing their true potential? Is your child getting picked on at school? If push comes to shove do you worry that your child won’t be able to defend him or herself? As childhood obesity levels climb, more children suffer as a result. Does your child lack activities that promote physical fitness, eating healthy and mental well-being? Does your child repeatedly act out in school or at home? Do they have anger issues? Do they fail to communicate the truth? Raising a child can be both challenging and rewarding in equal measure. As a parent, you might think you have tried everything to change your child’s behavior with strict discipline, endless nagging and begging - to no result. That all changes as soon as you enroll your child in Premier Martial Arts. Our curriculum focuses on character development far beyond the importance of self-defense. We teach our young students how to respect their elders, how to be accountable, how to focus and how to stay in shape in a fun and exciting atmosphere. We empower our adult students with the self-confidence to overcome anxieties and trauma, in an environment that fosters inclusion and social belonging. 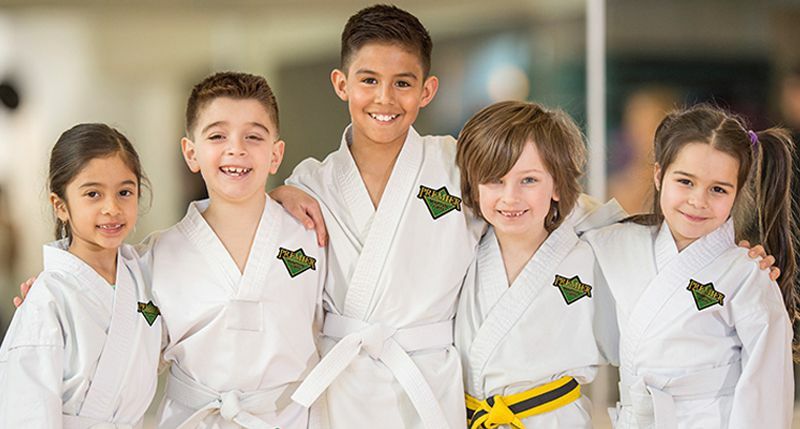 At Premier Martial Arts studios you’ll find a staff of certified, professional instructors that are trained in modern teaching techniques and martial arts skills - and they are much more than that. 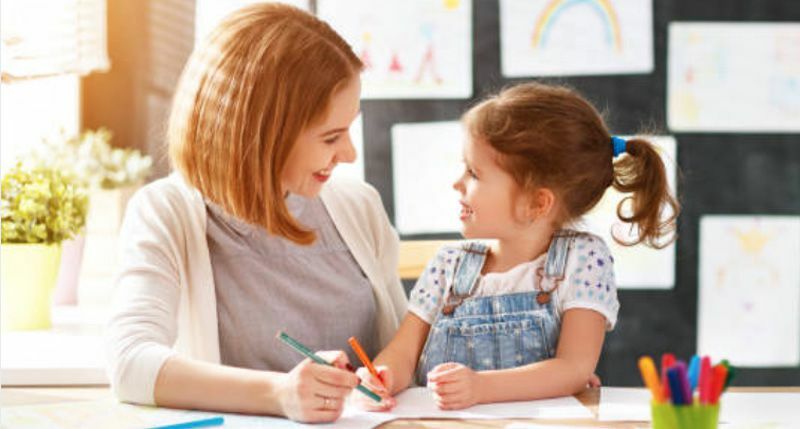 Because our curriculum focuses on character development, your children will benefit from the discipline and learn the value of hard work, respect for others and self-respect. You will see your child transform into the exceptional person you always knew they could be - one class at a time - right before your eyes! Martial Arts is referred to as a discipline for a reason: it requires hard work to become a master. This is also true of real-life, where challenges are everywhere and you need to be disciplined, respectful and determined to succeed. We excel at instilling the values of hard work, respect, and determination in our students - and we do it in an environment that is fun, engaging and sociable. Our classes will not only teach your children how to stand up for themselves, it will also teach them how to work hard for the things they want in life. As long as a parent makes and keeps the commitment of making sure their child attends class twice per week, children will learn and excel in their training. Kids that train consistently will progress in martial arts and should have no problem reaching the life-changing goal of black belt. Martial arts is great exercise for kids. 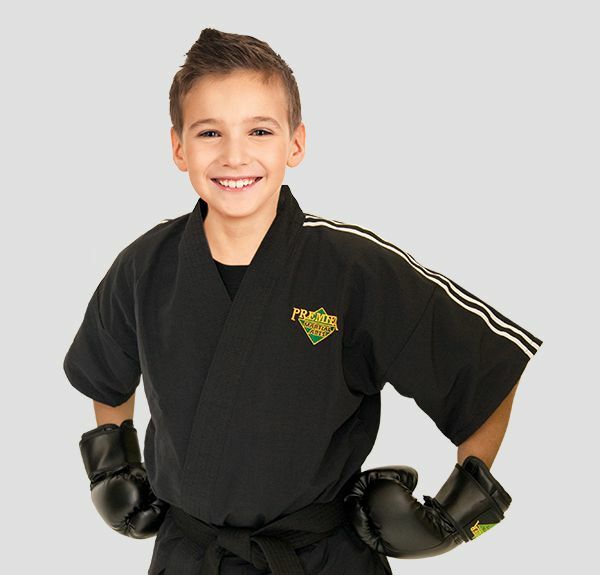 Martial arts training, combined with a sensible diet, can transform a child’s physical and overall health. Kids that feel good about themselves are children that develop strong confidence and self esteem — which they can carry over in all aspects of life in the future. Your child’s safety is our main concern. 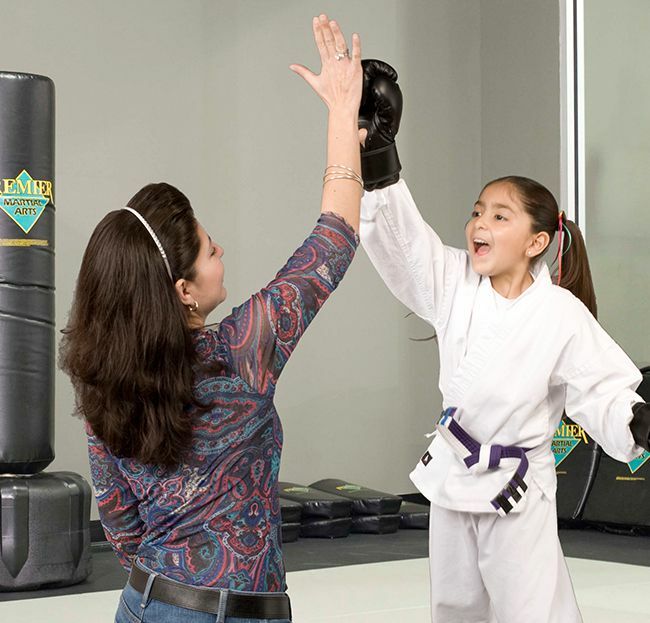 We use padded safety gear, abide by strict safety rules and regulation for instructors and students, use padded safety weapons and even have high-tech padded floors — all for the safety of our students. No way! As a matter of fact, we are careful to teach our students to use common sense before self defense. Kids are taught to make smart decisions when it comes to self defense from the first day of class. They will know when it is the right time to use what they have been taught. My child has never been good at sports; can he do this? Every child has what it takes to be good at martial arts, because in martial arts they are not competing or comparing themselves with anyone. Martial arts are more than just punching and kicking. Character development training is just as important as punching and kicking. Once we develop a child’s confidence, they can achieve anything they set their mind to. At Premier Martial Arts, we are experts at teaching martial arts. We have programs specially designed for ages 3 to 4, 5 to 7, 8 to 12, teens, and adults. Our instructors are trained to bring out the best in our students’ performance at any age.